I’m never sure what vitamins I need to take and if I do have them in my house, I get lazy about taking them. Plus, I’m a huge wimp about swallowing pills and vitamins, so I prefer gummy vitamins. Recently Vitafive contacted me and asked me to give it their service a try, I gave it some thought (okay, for a minute). Custom gummy vitamins delivered right to my door and put in daily packs just for me? Yeah — that was an exact fit. Choose who the vitamins are for – an adult or a kid. Then pick what kind of vitamins you want for that person — either Brain Health, Heart Health, Active, Sleep, Essential, Beauty, Immune System or customize your own with CoQ10, Vitamin D3, Vitamin C, Calcium & D3, Omega 3, Biotin, Multivitamin, or Melatonin. Order the vitamins that you want, and then open your daily pack and enjoy your gummy vitamins. All vitamins from Vitafive are free from the major 8 allergens (Milk, Eggs, Fish, Crustacean Shellfish, Tree Nuts, Peanuts, Wheat, Soy). *Some of their vitamins do have coconut oil. They do not contain gelatin, but instead are made with pectin and starch. 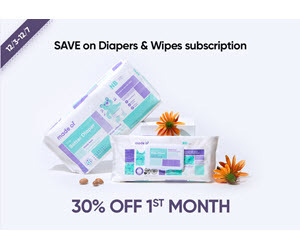 They come in convenient daily pouches that are sent on a 4-week subscription basis. You pick what kind of vitamins pack you want. 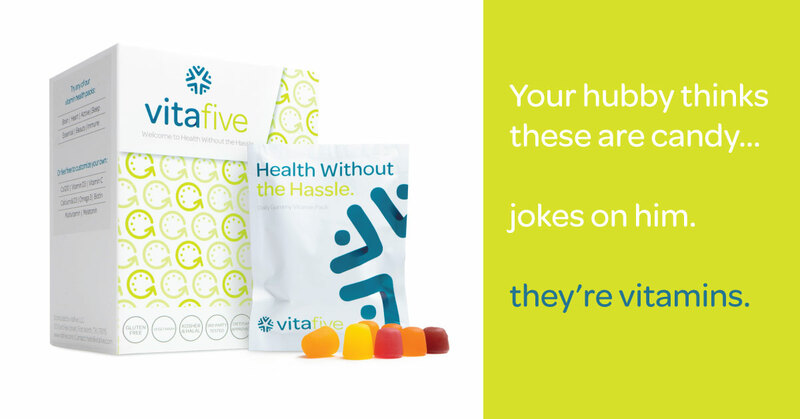 Your name is on the back of every pack — so you can make sure you take the correct packs (great if someone else in your house also subscribes to Vitafive. I chose the Beauty Pack, since I really want to strengthen my hair, which has been on the thinner side lately. My pack had 2 Biotin, 1 Vitamin C, and 1 Omega-3 to strengthen hair, skin, and nails while reducing cellular signs of aging. So, basically for a $1 a day, you get your vitamins packs! Win/win. I received samples for this review. This post contains affiliate links. Wow they do look like candy! I am going to have to give them a try.